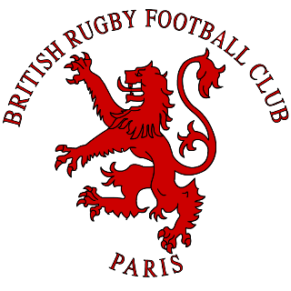 The British Rugby Club returns to winning ways to make it 3 wins out of 4 for the season. Having had several weeks with no game the Expats had time to regroup and rebuild. After a difficult 17/3 defeat to Nawacks last time out, the British bounce back with a strong performance to sink Gitans Olympique 10/23. The game started in the wet and cold but the result left a warm feeling for the BRFC. A bizarre substitution soon followed with Henry “Chunder” Spalding was told by the referee that he was not fit to run the touch, injured Richard “Hunchback” Woolf stepping up. More of the same followed, strong carries from the forwards Luke “Got Wood” Greensmith and Constantin “I Kill Piglets) de Langautier got the British moving forward and into the attacking third. Waves kept coming at the hosts and they managed to withstand the pressure for some time before being pinged for killing the ball. The pig killer and captain decided to go for a scrum inside the oppositions 22 and really push to make the pressure count. He didn’t have to wait long as off the resulting scrum Kieran “Butch James” Chandler darted for the line taking two defenders with him for his first try for the BRFC. He kicked the extras 3/12. The British kept the ball for the rest of he half with little pressure to their line and saw halftime come with a healthy lead. The call from the coaches was to score first and the boys who “Bowler” didn’t have to wait long with Kieran notching 2 penalties after several sets of structured attacking play. New center paring of Charlie (Ladyboy) Hall and Richard (White Samoan) Cawkill carried well in midfield causing as much chaos to the Gitans defense as the ‘gilets jaunes’ on the Champs Elysées, with strong support at ruck time from a dominate British forward pack. 2 attacks, 2 converted penalties. 3/18 British. Several defensive sets followed with big tackling from Edward “Accessory to Pig Murder” Wrigley and others keeping the Gypsies at the door. Henry “Sacked Touchie” Spalding getting 10 mins on the side for not retreating 10, in a classic event of mistaken identity, saw more pressure come at the British. But the 14 remaining on the pitch were up to the task of keeping the hosts out. A much improved BRFC line out saw Alessandro “Longbow” Donada and Simon “Fake News” Harding lead the team to 100% line out for the day and help the London Lager drinkers control position. The British saw out an important win to take them to 3 wins from 4 for the season and take them into the final weekend before the break, were they will face an even greater task when they welcome Les Crocodiles to Pantin before celebrating Christmas all together. Coaches, players and fans can be happy and proud of a great team performance with all 22 of the match day squad playing an important part.